One of the questions that I have been getting more often as Augustus gets older is, "how do you keep Gus off of the older kid's stool?" And, the short answer is always the same -- I don't. 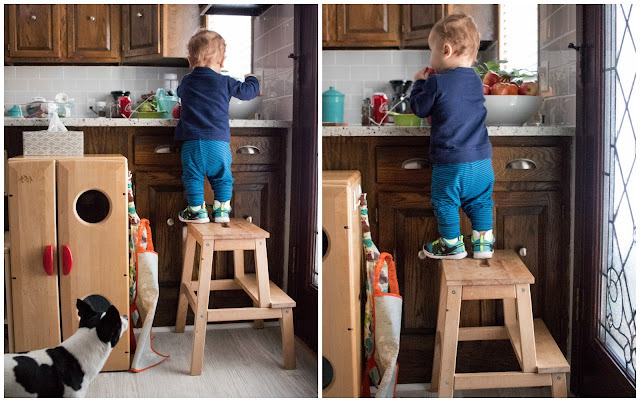 But, over the last couple weeks, it has become clear that Gus now realizes he can use the stool for more than a stationary climber. It has become his tool too. Gus has started to push the stool from its "spot" to where he would like to access. Usually, it's been one of two places -- right to the counter a quick push away to raid the fruit bowl or to the light switches in the kitchen. These aren't things that I have had to show him because he watches Henry and Nora use the stool as well. But, it's also not something I'm going to stop. I want him to feel like he can independently manipulate his environment. 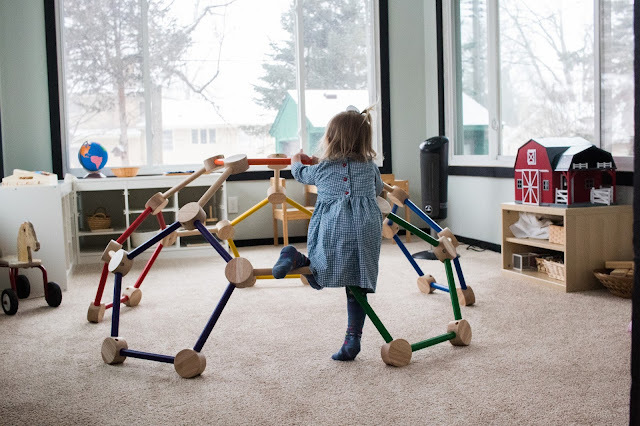 Maria Montessori was clear that children need to be able to move and act independently in their environment. 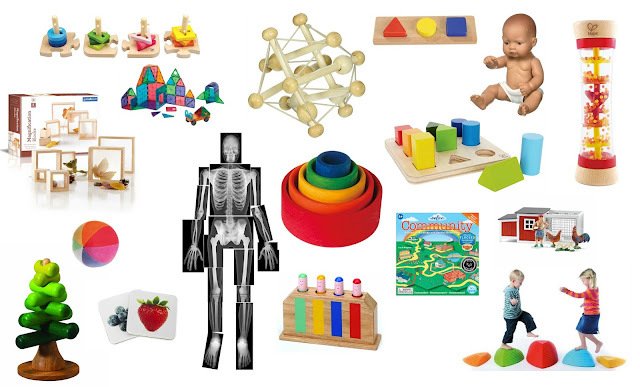 Their development occurs because of their movement and interaction with the things around them. The more opportunities we can give our children to act on their natural desires, the better. Sometimes this means, creating some opportunity for them. But other times it means allowing some activity that, at first, makes us a bit uneasy. 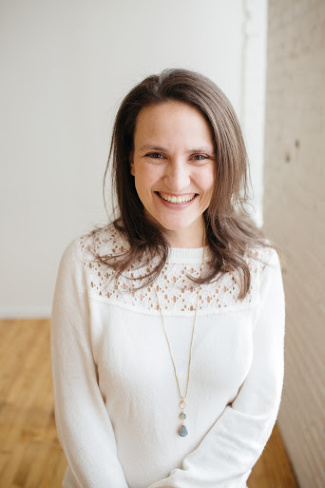 As Maria said, "Children develop their brains as well as their bodies through movement, and in the process of concentration, self-discipline, and perseverance with an active interest, the foundations of character are laid. To give our children a fine start in life we must see that their surroundings satisfy their need for activity and development, remembering at the same time that our own part is not that of instructor and interferer but of helper and friend." I know that this can make some people nervous. They immediately want to build a cage around this stool to keep their child from falling. But, I will say that Nora started using this very same stool at 13 months old (Gus is 15 now, showing you how different children are), and she fell once. They learn the natural boundaries very quickly. My problem with the learning tower built around it is that it's much harder to move around then. And, they don't always need the stool in just one spot! 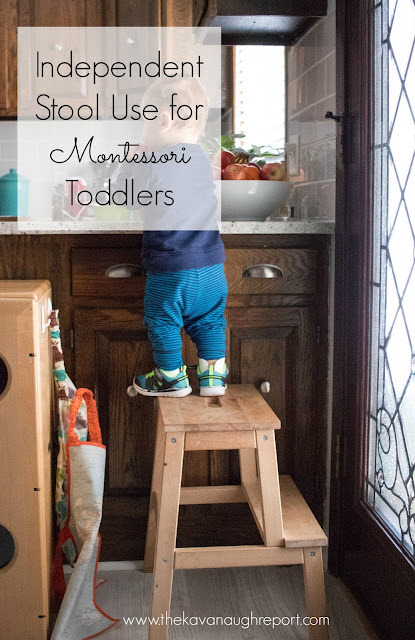 Do you provide a stool for your toddler? Thanks for the link to the stool! My son has started climbing on his chair to reach the counter so I've been on the lookout for a good stool. This one looks perfect. I just love this article! 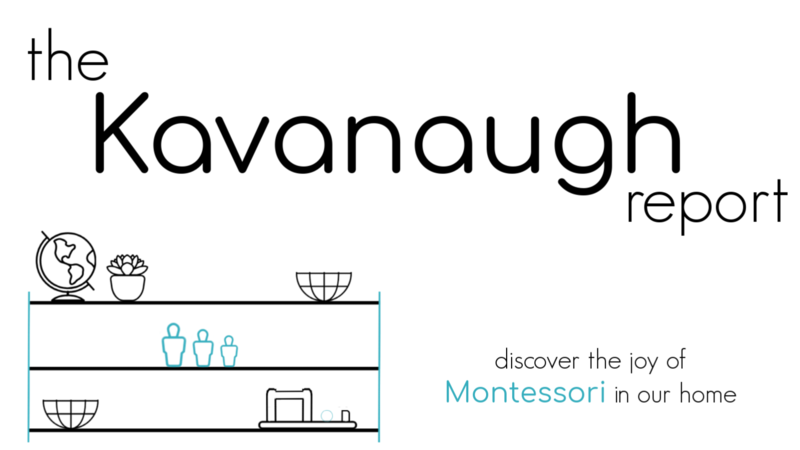 I have been trying to incorporate more Montessori into our home for my 2-year-old. I'm realizing after reading this that perhaps its time to stop restricting his access to the kitchen with gates and instead, build a stool so he can get involved!